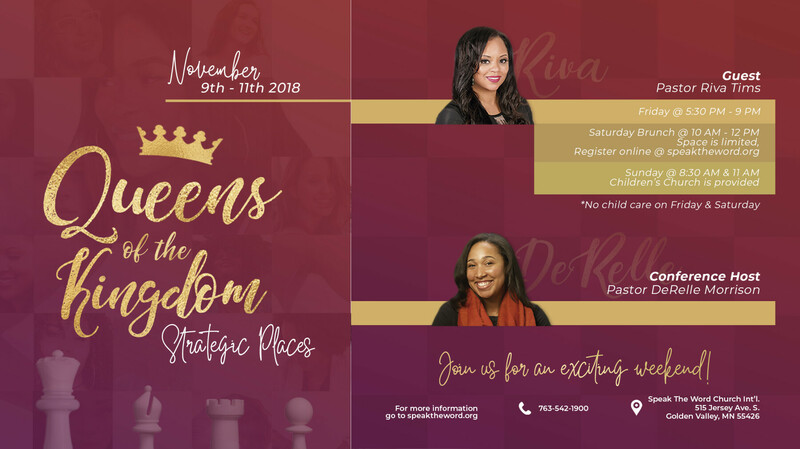 On Sunday November 11th at 8:30 & 11:00am we'll close out Queens of the Kingdom: Strategic Places. Don't miss it! Come for the fellowship, worship and great teaching from the Word of God. We have nursery care & class for 18months-5th grade in Children's Ministry. *There is no teen church, teens are encouraged to sit in service to hear Pastor Riva Tims!